[Review] Fake Relationship Double Whammy. So if you don't know, I don't really read very many contemporary books. However, one of the premises that will have me interested in a contemporary novel is the fake relationship trope where a fake relationship between the two main characters is formed for some various reasons and obviously at some point they fall in love. I don't know what it is but I seriously love this trope! So I had two books in my possession with this trope: The Fill In Boyfriend by Kasie West and No Love Allowed by Kate Evangelista. 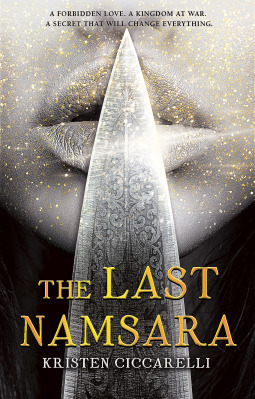 I read them back to back and I thought I would do a double review of both the books! 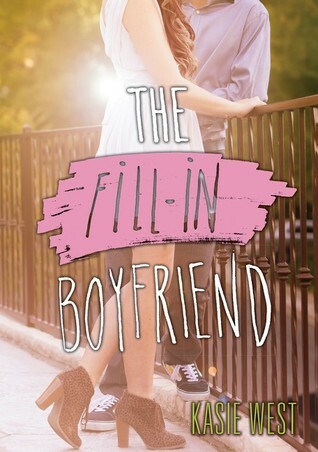 The Fill In Boyfriend is another book in the series of super cute contemporary novels by Kasie West. This one centers on Gia Montgomery and a nameless boy that she recruits to be her fake date after her boyfriend dumps her in the parking lot just before entering prom. Despite some questionable decisions that Gia makes in the beginning, I really like her as a character. Throughout the book we see how she grows into a better person and to really question some of the choices she's made in her life. Gia is one of the popular girls in school and despite some clique drama, she seems to have the perfect life. However, meeting Fill In Bradley and his sister changed her perspective and really made her realize just how dysfunctional her family is and her relationship with friends is. Like seriously I kind of hate her friends. Though Gia is also at fault, her friends are terrible and I kind of wanted to strangle Jules. Jules is the character creating all the clique drama and trying to oust Gia from her friend group by inserting lies into their heads and making them doubt Gia. At every turn it seems like Jules is out to get Gia even though at one point Gia does try and be nice to Jules. Fill In Bradley though. He cute. He's so cute. Fill in Bradley is sweet and nice and he's an actor. He's got his own flaws, which we can actively see in the book, but that just makes him all the more real and makes me want to add him to my book boyfriend harem. Overall I really enjoyed this book and it's a great read for someone looking for a fluffy book that still has some depth to it. Like. Omygod. 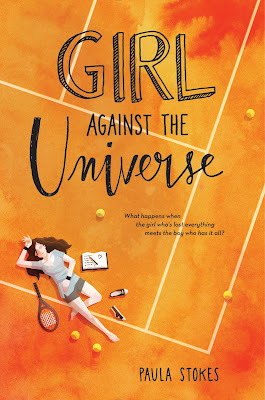 This book was a cliche fest and it was so super sweet that I thought I would end up with a mouthful of cavities by the time this book was over. But it wasn't cliche and sickeningly sweet in a bad way. This book was an adorable and sweet read centering on Diana "Didi" Alexander and Caleb Parker. Caleb's looking for a fake girlfriend to accompany him to all the events sponsored by his father's law firm and to keep away the matchmakers prevalent in his high society social circles. Didi just quite her waitressing job and she's looking for new experiences and why not take a look at how the rich people live? Caleb and Didi have an instant connection and chemistry that has them pulling towards each other despite the strict rule of not falling in love with each other. Caleb has a history of dumping his "girlfriends" as soon as they fall in love with him. 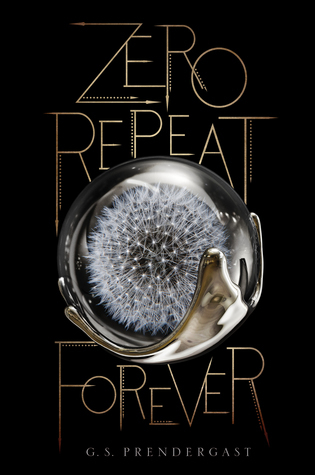 The story is told in a dual perspective that switches back and forth whenever and gives us insight into how both of them are feeling at certain moments. It's nice to know how both of them are feeling for each other but it also kind of adds to the sickeningly sweetness of it all. One of the things that I liked about this book was how it dealt with mental disorder and it gave me a real insight into it. However, while this book was super cute and sweet, I felt like it lacked some depth. Their relationship felt really sort of shallow since they didn't really have any fights before the big climactic event. Overall, this book was a quick and easy read with lots of super cute fluff in it. No Love Allowed is another take on the classic "fake boyfriend/girlfriend" trope and it does a great job at showing the chemistry between the characters despite their agreed upon terms. 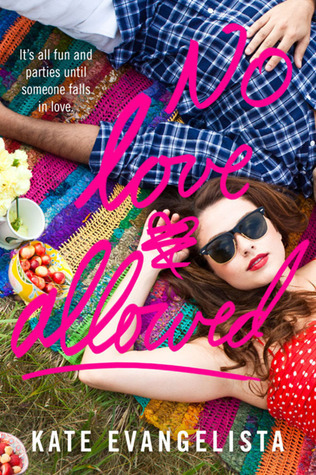 Thank you to the wonderful Shelly @ Read.Sleep.Repeat for letting me read her copy of No Love Allowed!